Purejewels.com is a family run business producing authentic Indian jewellery using traditional production methods and design principles passed down from masters of the trade. Our fine gold cufflinks carry the same unique ethos which is at the heart of all of our work. The quality craftsmanship that flows through everything we do has been fostered over a number of years and is made possible by the deep appreciation we have for Bhanji’s vision and the pursuit of producing fine gold jewellery. 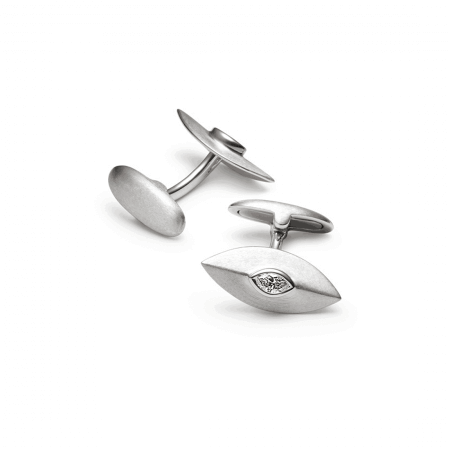 Our 18 carat white gold cufflinks carry the same seal of quality and subtle design intricacies as our other jewellery. They are designed to combine a striking and unique design with a minimalist approach that doesn’t intrude on the rest of an outfit. They also contain 0.33 carat marquise diamonds. Our pieces have delighted customers from all over the world who are drawn to our authentic design and reputation for quality and precision produced by using the same traditional techniques that Bhanji has always valued. The jewellery produced this way are all unique and have their own character. The quality of our jewellery and the uniqueness of our designs has been made possible by our having studied under Bhanji, and he has instilled within all of those who work alongside him the importance of respecting the traditions that underpin the craft we are engaged in. In 1921, Bhanji Gokaldas, like millions of other Indians, sought his fortune in many of the neighbouring countries which had just begun to emerge as economic powers. At the tender age of 18, Bhanji bid his family goodbye to set sail for Eastern Africa to become his own boss; he took the money he had with him to rent a workshop in Nairobi and from here he begun crafting jewellery, infusing his work with the techniques and style of his home. His skill at his craft soon made him successful and eventually, he and his young family left for London. For the last 35 years, our family has kept with the tradition of providing a warm and welcoming experience to all our customers. All our other cufflinks, including our rose gold cufflinks, are imbued with the spirit of our family and the close bonds we feel to one another and to our culture. All the jewellery we produce is designed to evoke memories of our home country , which we hope is a journey our clients can relate to. 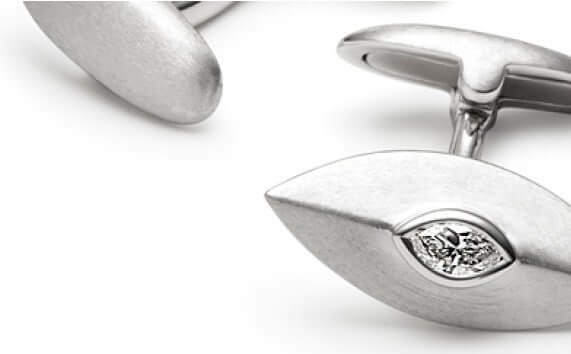 We often find customer testimonials from those who have previously purchased our white gold cufflinks and solid gold cufflinks often compliment us on the authenticity and beauty of our jewellery as we take a great deal of pride in offering the best quality service that we can.